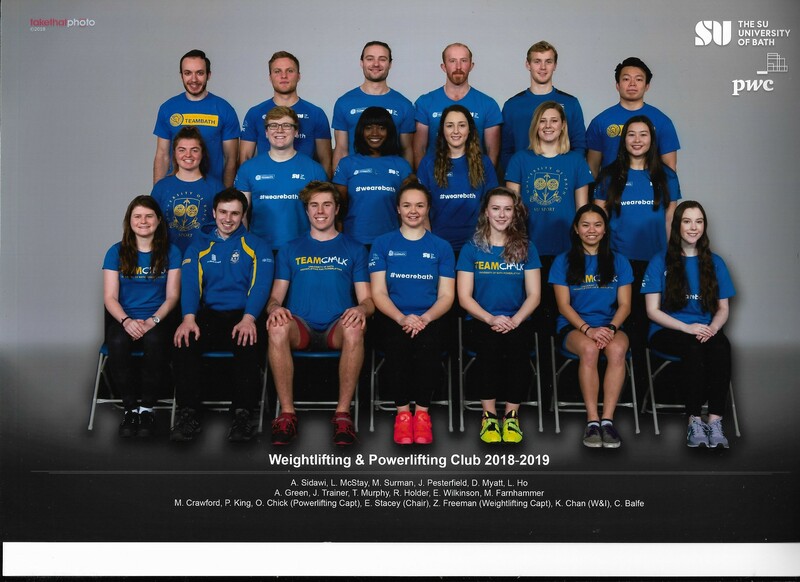 Help us to raise £250 to get Team Chalk, University of Baths weightlifting club to the British University Championships for Weightlifting. As the cost of competition is expensive we are trying to subsidise competition for our athletes. Team CHALK, Who are we? We are an inclusive student sports club consisting of weightlifting and powerlifting. We run 3 sessions a week where members of all abilities regularly attend to work on safety, technique, and progression. We are a new sports club who would like to go to our first set of competitions. Our athletes have been working hard since October in preparation for the British University Championships for Weightlifting and have progressed immensely. Competing is important to us, as a brand new club we are looking to be successful and compete on a national stage. By being able to send people to British University Championships, our athletes can compete against some of the best in the country and see how they compare. We have a few athletes hoping to break British University Championship records. The cost of competition entry, travel and accommodation is currently too expensive to fund. By donating to Team Chalk, you will support our athletes to reach the British University Championships for Weightlifting. If we reach our minimum target of £100 you will be helping towards the cost of accommodation for athletes. If we reach our total target of £250 you will be helping towards competition entry costs, equipment, travel and accommodation. If we are able to exceed our target we can make the competition affordable for more people and potentially send a coach along to assist the athletes in their preparation whilst at competition. Alongside donating, you could share our fundraising page! Please share this project with anyone that may support us – on Twitter, Facebook, by email, telephone, in a chat over the fence, anywhere! In fact, just share it with everyone you know, and the more people who know about it, the more likely we are to make it to competition. Please support us and help us get to competition this year.